PLEASE NOTE: Successful completion of Sensory Development & Wine Styles is a prerequisite for this course. After the successful completion of the ‘Methods of Wine Production’ course, students will have developed an in-depth knowledge of the techniques required to produce wines. 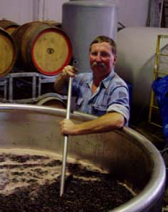 The course focused on both viticulture and vinification practices. Students will gain insight into the practice of winemaking and the tools at the disposal of the winemaker by participating in the process and classroom study. During the course, students will study the production processes at each stage and how these can affect the nature and quality of the product. The learning experience is enriched by on-site visits to a vineyard and winery. There is a mandatory exam to complete this module. This course runs each spring. *****Please Note: MMWM and Sommelier Management exams will be held together on May 26, 2019 at the Prince George Hotel.